Cupping Therapy has been used for thousands of years as a way to relieve pain and muscular tension. For centuries, people have been using the help of this technique with massage therapy to decrease deep aches, increase mobility and enhance physical performance. 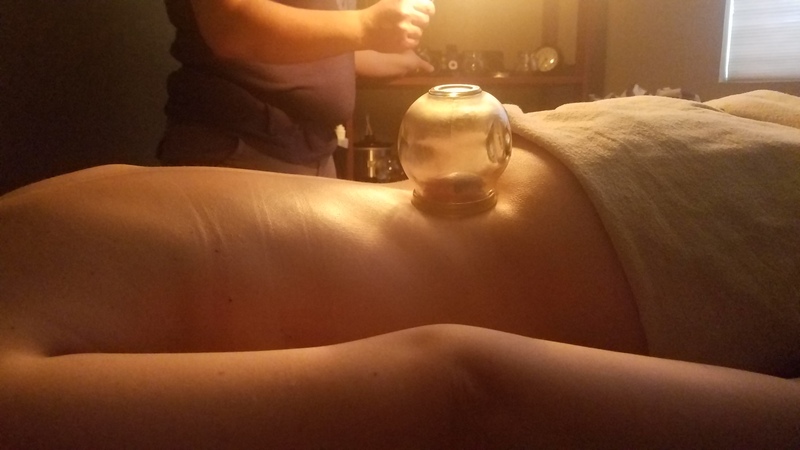 Although found often in Traditional Chinese Medicine, most recently cupping has been brought into popular culture by way of American Olympic swimmers at the 2016 Olympics. But cupping therapy doesn’t have to be reserved just for elite athletes. In fact, cupping therapy can be used to help many physical manifestations of stagnation. Stagnation is a term used to describe any part of the body that is not moving as it should and there are many ways in which stagnation can manifest itself physically. Cupping Therapy is performed with specially made cups. Heat or suction creates a vacuum seal on the skin. The negative pressure pulls the tissue up into the cup. The type of cup and technique used to create the suction is determined by the area of treatment. Once applied, the cups may be moved as a massaging method or may remain on the area of application. Cups are typically applied for between 5-15 minutes. Although some discoloration may occur at the location of treatment, this will dissipate and fade within 5-7 days. To find out more about Cupping Therapy with Shelly Shivy, LMT, call 608-203-8550 or book online!